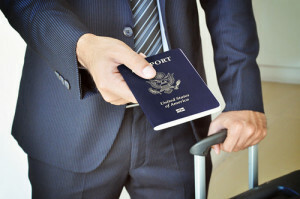 Business travel security protocols are generally quite clear and easy to follow for long-duration international travel. Our Fonetrac travel security app (available for both Android and iPhone) is designed to make it easy to implement these protocols. Employees are actively reminded to check-in on a pre-determined schedule. Follow-up is flagged if check-ins are skipped, and so on. But what about the kind of ‘international travel’ that slips between the cracks? If an employee regularly, or even daily, crosses the border to Mexico, as can be typically in cities like El Paso or San Diego, it may not be seen as an activity exceptional enough to warrant check-ins like a bigger trip might. And yet, many of the same business travel security issues apply here, despite the seeming normality of the trip. To wit, the employee is across an international border, and a different set of legal rules apply. If the employee should break any kind of ‘rule’ over there, a different legal system applies to them, and this comes into force even if something was done in all innocence, or even if they are victims of some sort of scam (e.g. the staged traffic accident with a fake ‘victim’). They may not get access to a lawyer or get to make a phone call. Here is where the Fonetrac app can protect employees and enhance business travel security on a day-to-day basis. If a routine lunch-time check-in is set up up as protocol, and then the employee misses the check-in, their employer knows to start the steps needed to help said employee. The security threats in this world never stop, so the smart thing is to partner with an expert. Whatever happens in the domain of business travel security you can count in IMG to be up-to-date on the situation, and users of its FoneTrac smartphone application will always be alerted to fast-moving developments. Interested? Reach out to us for a demo.